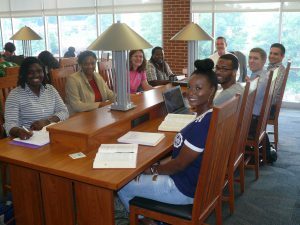 North Carolina Central University School of Law is a student-oriented place of learning. The School of Law seeks students who are more likely to contribute affirmatively to the learning of others by reason of their intellectual attainments, demonstrated emotional maturity and self-discipline, oral ability, and capacity to benefit from the school’s educational program. Applicants, who individually have overcome economic, societal or educational obstacles, make a very important contribution to the diversity of the student body and serve as role models of achievement. These factors have been shown to be important predictors of success. Applicants selected for admission bring to the School of Law many attributes, including: academic credentials; personal and professional experiences; strong analytical and problem-solving abilities; strong writing skills; oral communication and listening abilities; organizational and time management skills; general research skills; and the desire to promote justice and serve others. The School of Law does not prescribe or endorse any particular pre-law course of study. Our students come from diverse disciplines such as English, philosophy, medicine, dentistry, history, environmental studies, economics, criminal justice, public administration, political science, accounting, music, psychology, engineering, mathematics, chemistry, and biology. Admission to the School of Law is competitive. Students are admitted only for the fall semester. Since we believe that applicants are more than just numbers, selection for admission is based upon a thorough evaluation of all factors in an applicant’s file: Law School Admission Test (LSAT) score(s) and writing sample; undergraduate and graduate school grades; recommendations; and the personal statement. Careful consideration is given to an applicant’s professional experience, volunteer or community service, unusual achievements, special circumstances, honors, economic hardship, undergraduate degree, undergraduate school, graduate degree, graduate school, and grade trends. Because it is presumed that Evening Program students will have full-time employment, the Admissions Committee places greater weight on the quantifiable performance predictors for applicants to the Evening Program. 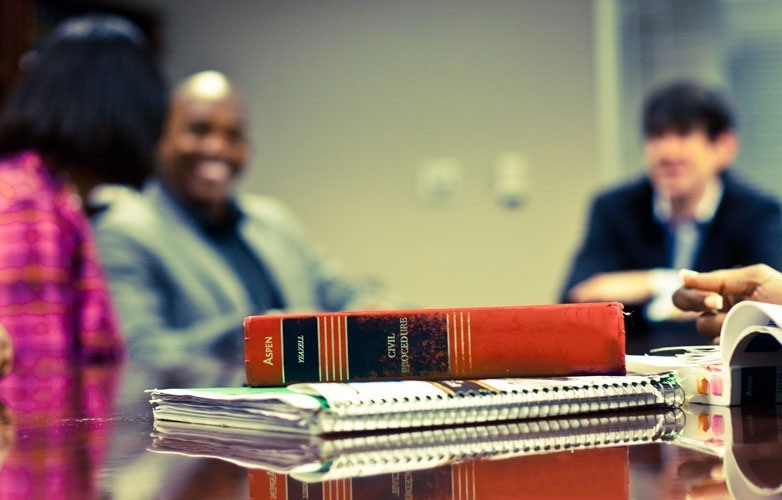 The School of Law communicates with applicants primarily by mail and email. Therefore, it is imperative that applicants keep the Office of Admissions informed of their current mailing and email addresses. Applicants should immediately notify the Office of Admissions, in writing, of any address changes or other changes that may affect the admissions decision.